Having spent the last 15 years of my life in the US before recently returning to my British homeland to focus on the global expansion of HfS, I think I have earned the right to offer a view on how global innovation will evolve in the coming years. 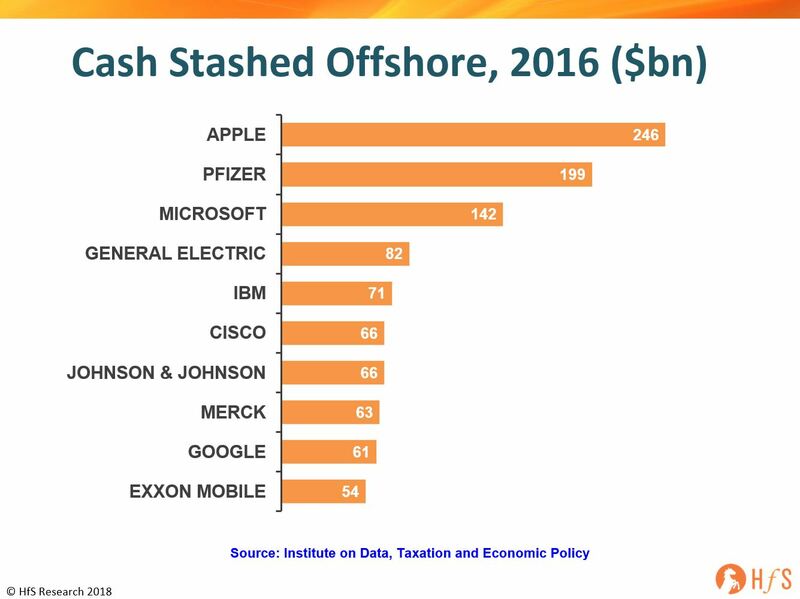 So let's have a real State of the Union look into global battle for economic and digital supremacy. For decades now, Silicon Valley has driven technology innovation, US corporates dominated business innovation, and US healthcare was the paragon of high-quality patient care. Everyone looked to the US for innovation, leadership and entrepreneurship. Hell, there was nowhere else in the world I could have founded and made HfS a success eight years’ ago… people in the UK used to sneer at new brands, ideas and anything that cut against the legacy business establishment. 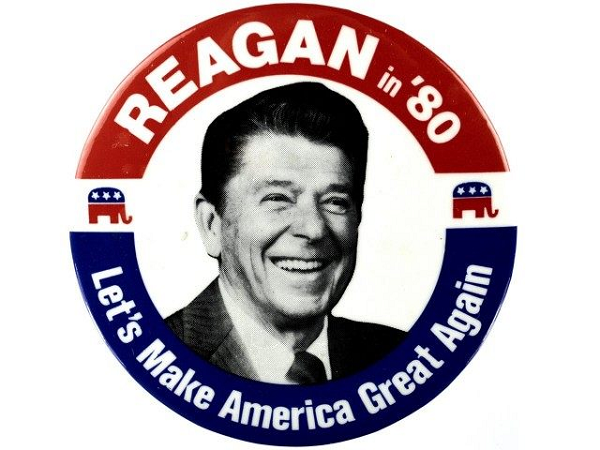 But Americans liked shiny new things, they embraced entrepreneurship and new ideas, and welcomed foreign talent. The US was the world’s innovator, the world’s entrepreneur… it was the place where ambitious people aspired to flourish. All good things happened in America – it’s where dreams were hatched and made real. Tech innovation is no longer confined to a politically exhausted, entitled and overpriced Silicon Valley. 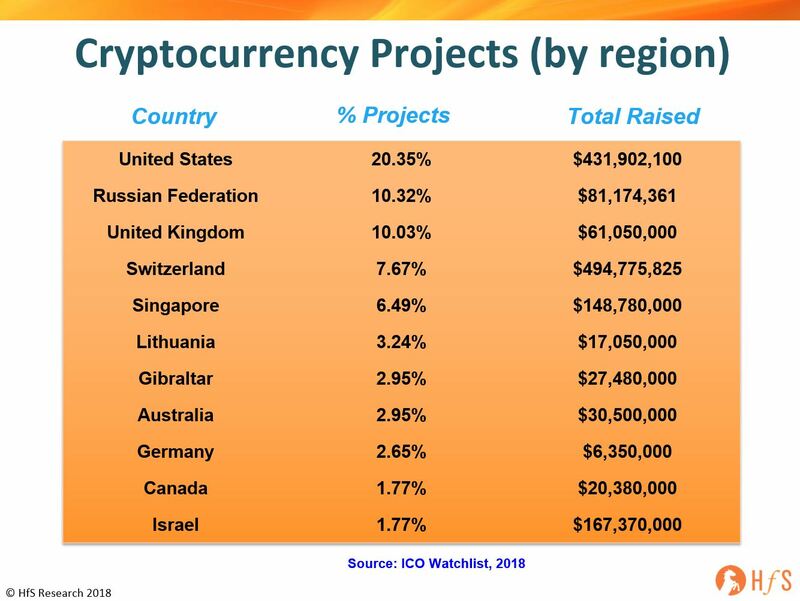 Israel is becoming a leading hub for security, blockchain and AI start-ups and talent. India’s startup scene is especially vibrant as ambitious IT talent grows frustrated with the monolithic outsourcers and seeks to join emerging tech firms and get involved with AI development environments such as Python, R, Caffe, Google TensorFlow, the Azure ML Workbench, Amazon's Sagemaker etc. In China, real cooperation between the government and its tech giants is significantly positioning the country’s advancements as an AI leader. Meanwhile, Estonia is already putting its entire population database on a blockchain platform as part of its plans to build a digital nation, and even Dubai is declaring it will be a Blockchain city run by smart contracts by 2020. The abhorrent cost of talent in Silicon Valley, coupled with the extremely negative politics asphyxiating their once-dynamic firms is driving investors and valley firms to globalize their approach to talent access and their partnership ecospheres. US Patent and Trademark Office data shows that the number of patents granted to foreign countries (outside US) is now greater than US itself. Moreover, as tech power increasingly shifts to true global players such as Amazon, Alibaba and Google, and the establishment tech giants servicing legacy enterprises, such as Workday, Salesforce, SAP and Oracle become increasingly confined to a shrinking global 2000 (while ignoring the burgeoning small/mid-sized enterprise sector), the whole tech innovation industry will become increasingly globally distributed, as opposed to controlled from the entitled Californian epicentre. Brexit is forcing new thinking and new ways of enterprise collaboration. While I have been honest about my views towards the negative aspects of Brexit, it has forced new thinking as Britain goes down it’s own path of looking within itself, not dissimilar to what Trump is doing in the US. The difference with Brexit is it’s highlighting the desire of British businesses and academia to embrace global talent and collaboration with other nations. The threat of losing its openness may have the longer term impact of driving British firms to work more closely with emerging nations, such as China and India, and not rely so much on its legacy business partners. It will be the same for the likes of economic powerhouses such as Germany and France, who are also being forced to look beyond the EU for their future commercial alliances. In short, outside of the US, most of the major economies are looking outward to grow, while the US is too busy navel-gazing and trying to figure out how to embrace its past, as opposed to the unraveling future. Digital means global, and there’s not much governments can do about it but become AI powerhouses, thus leveling the playing field. As the major corporates become increasingly global this is increasingly conflicting with governments’ desire to maintain control over their businesses to hire locally and maximize their tax revenue. A consumer in Bangalore is just as important as a consumer in Omaha to Jeff Bezos these days. 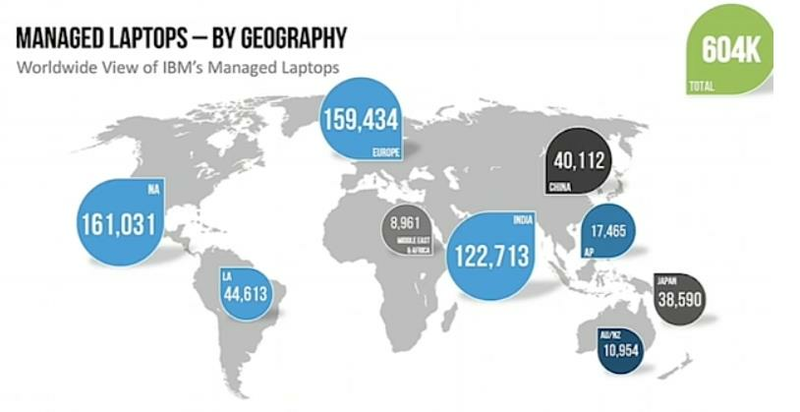 It’s all one big global digital economy these days. In order for governments to stay ahead, they need to become fluent in AI to keep tabs on these data flows and maintain some sort of control over what is going on… from cyber-security, massive analytics to legislation and regulation. National AI policy and strategy will take center stage creating vastly different types of cooperation deals between governments and continual debate over data privacy and business licenses for firms where data crosses borders. Net-net, there is a new playing field being leveled for the next creation of wealth where data and AI is at the core. There is less tax revenue for the US government to boost its economy and reduce its massive $20 trillion debt. There won’t be a government bailout the next time the economy crashes – there is no more debt to be secured. Do we really think Amazon, Apple and Google will bail out governments? President Trump hopes corporate tax cuts will stimulate a massive reinvestment in the country, but the creation of new wealth goes a lot deeper, where access to talent with innovative and entrepreneurial mindsets is no longer confined to the blessed US of A. Outside of the US, the recession of 2008 cut deep, and people know they cannot afford that happening again. Inside of the US, that massive Bandaid is still masking the inherent demise of the country's core issues, as the rest of the world catches up. The next phase will not be about artificially propping up legacy banking systems and pumping borrowed money into infrastructure projects... it's about taking the lead in a global digital economy by embracing, educating and possessing the best talent, the best homegrown companies to house that talent ... and having the smartest leaders who understand the power data and AI. Wondering what data suggests that US us stagnating. It is in the 9th year of continuous growth. With an engine of $18 trillion, its projected to hit its highest growth rate of 3.5 to 4%. 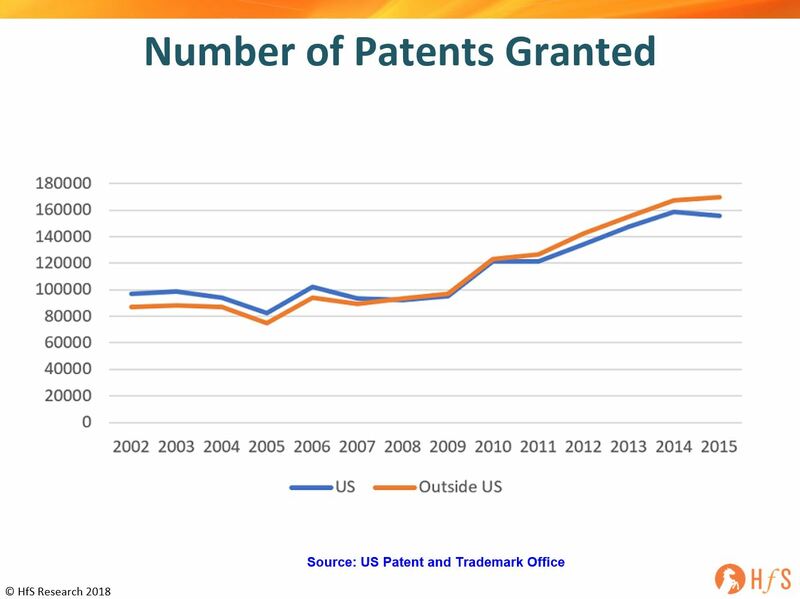 Even the number of patents are matching trends. No wonder Trump is trumpeting economy and stock. The issue was jobless growth in a digital economy. Precisely, what you are arguing US is missing on. This is not to say that rest of the world is not catching up. Pockets of Innovation are truly spread out. Maybe Brexit will spur some new combinations. The battle is on.. This is a superb, well balanced piece. Completely agree that the points that the digital economy is closing the gap between the US and China, Russia, India and emerging nations. Trump is suffocating the country's entrepreneurial spirit with his attitides towards immigration and his behaviour collaborating with the rest of the world. The situation worries me greatly and this article really gets many of the issues across well (without making it a political rant). The US needs to be leading global collaboration, not resisting it. I don’t think the issue is stagnation - I think it is democratization. Technology has leveled the playing field. The gap is closing fast indeed. Lot of knowledgeable, tightly knit, collaboration clusters propping up. Whoever creates the right ecosystem wins. Excellent piece Phil. Definitely a combination of US complecency and the digital economy bringing emerging economies more into the picture. PF - spot-on! I am in the healthcare industry. Two interesting dynamics (among many) to monitor are (1) how the U.S. decides to address the Social Determinants of Health and (2) how the recently announced Amazon-Berkshire-Goldman (ABG) partnership evolves. I have long considered the scenario that "U.S.-based" businesses will be the ones to truly drive a decision-point regarding health and healthcare. ABG may be the most powerful coalition I've seen to-date. As I look at these businesses, their employees span the spectrum of economic classes and situations (a linkage to the Social Determinants of Health). This could flip-flop the U.S. healthcare industry which has been largely driven by Government dynamics (e.g., legislators, lobbyists, special interests). It is an interesting situation. On the one hand it is absolutely true that on a 20-30 year trend democratization, consumerization of computing technology/knowledge, the internet=telecom boom, the higher availability of capital and of-course incentives of all kinds have created many new centres of activity. And yet, while more local creation and consumption of technology should have actually improved conditions for the masses in Africa, Asia and ME and while there is some evidence to show that it has, there is also visible evidence that in many areas it has been in-effective or just has been overwhelmed with legacy problems or made things worse. And on a 20-30 year horizon, apart from Israel (and maybe China of-course) none of the new contenders yet have the demonstrated credentials for innovation and new technology creation that has made any impact globally and to the environment (the US denying climate change notwithstanding). There are some green shoots but the US still is the major source of grass roots innovation. Yes, whence you see consumption of technology and the creation of digital models or the new tech leveraged services businesses in other parts of the world the US positon is eroding (and it is not just about the crypto assets or IT services, it is in many other areas too) but true grassroots innovation is still centred to some countries. The UAE may have created a plan to build a space city but the US has three programs already underway to put man on Mars. There is a Tesla dummy driving in space (although any sane person would worry if that is nothing more than self gratification). A tech backlash is brewing rapidly but aren't Google, Amazon and Facebook still the largest digital cos in the world? The ecosystem is happening but still not up to the level yet in other countries. I grant that eventually there could be one. It may just need the spark of a bright scientist denied a visa who goes onto creating the next big digital tech rival out of an India/Indonesia/China/Estonia wherever. And agree AI (and data) is the dark horse but too many variables yet before we know.